Singapore is one of my favorite cities, and I love it so much, that I really wouldn’t mind living there one day! Some say that Singapore has no soul, but I think it does. The city is a melting pot of different cultures, and together with it’s slightly more western orientation, it’s a unique place. 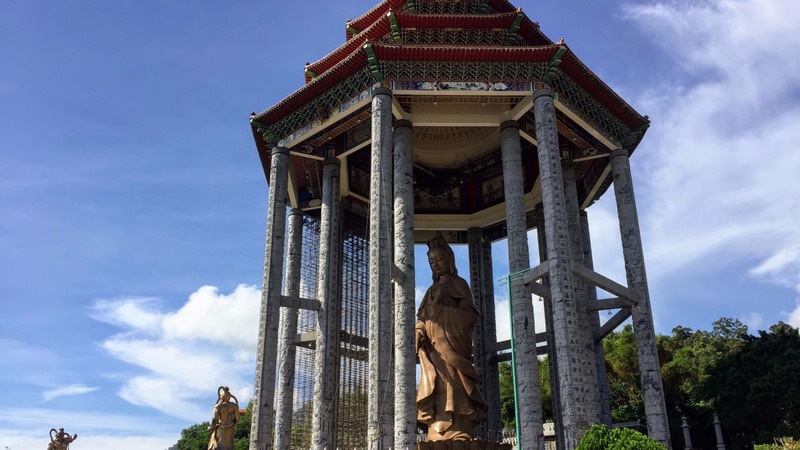 Where else could you find a Hindu temple in the middle of a Chinese area? 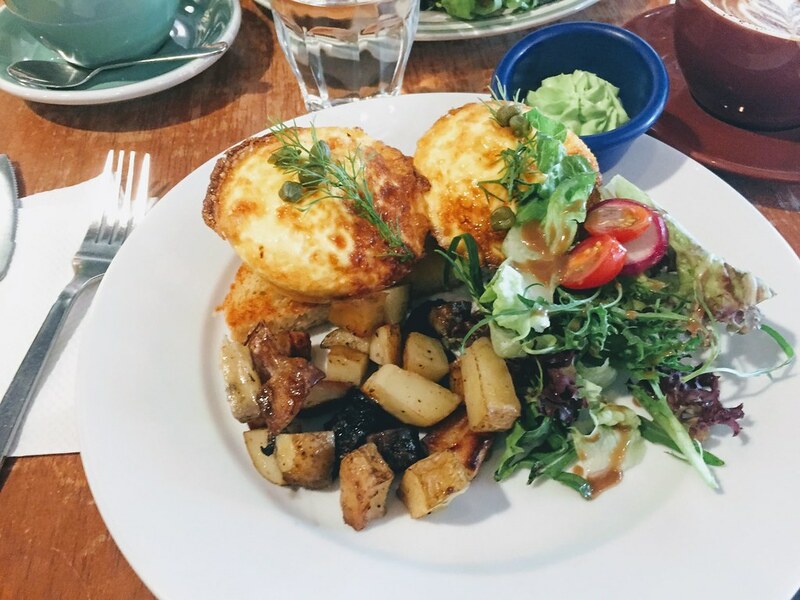 Singapore is a foodie’s paradise, so if you had to choose one thing to do in Singapore it would be: eat, eat, eat! You can eat as cheap as you want or as expensive as you want and it will all still taste fabulous. 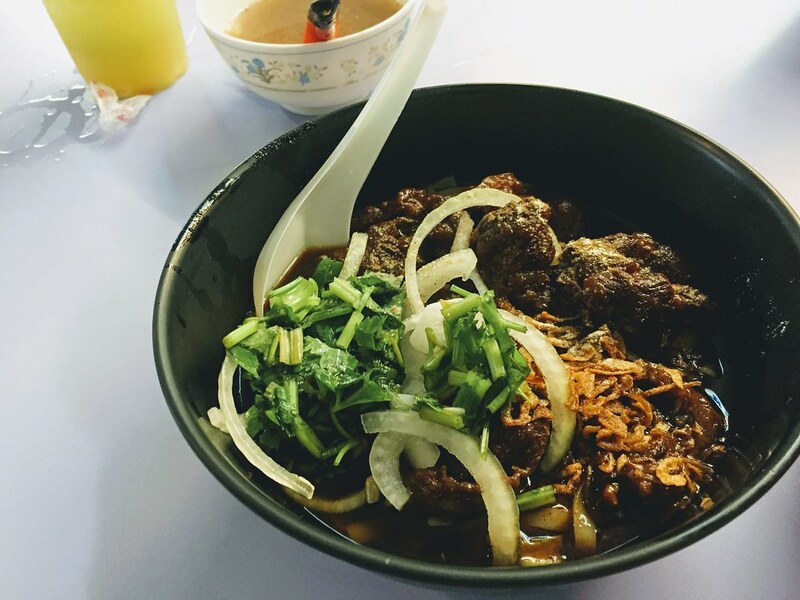 Try out some local dishes, such as Hokkien Mee, Black Pepper Crab, Nasi Lemak and much much more! 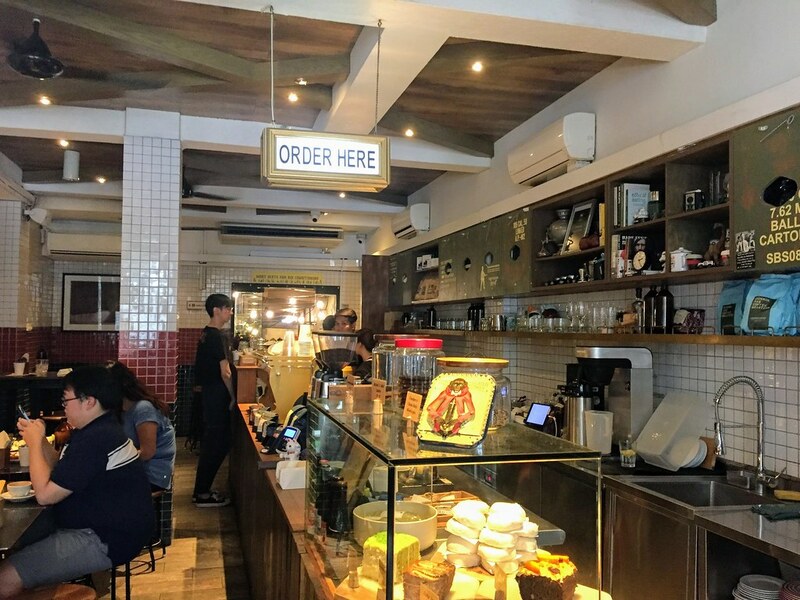 Tiong Bahru is a quaint little neighborhood that is the location of many cute cafes, brunch places, and little boutiques. 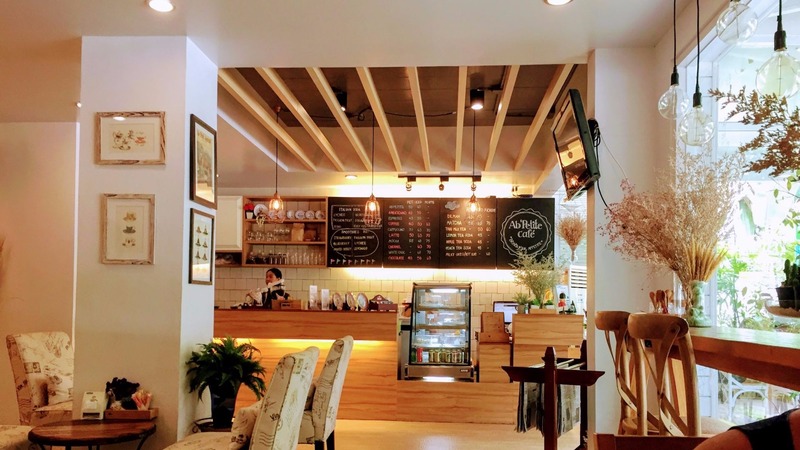 Have a coffee and cake at Forty Hands cafe and then cross the road and visit the BooksActually bookstore. 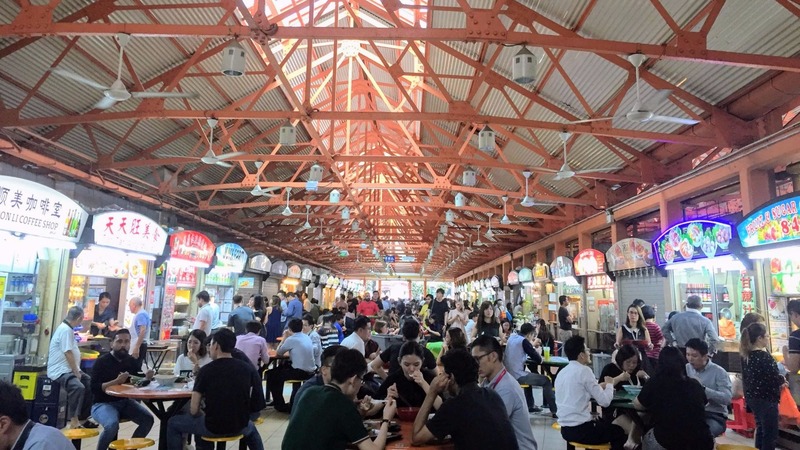 Then find your way to the Tiong Bahru market and have some food at the Hawker stalls on the second floor. It’s one of my favorite hawkers in Singapore! The Southern Ridges is a trail that spans 10 kilometers and three different parks. 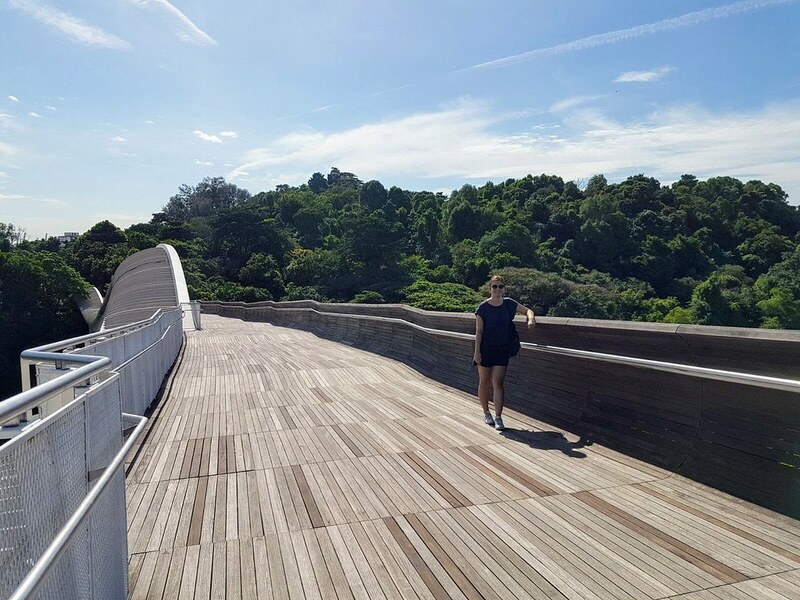 You can start from the Bayfront MRT station and then take the trail from Marang Road, which will take you up to Mount Faber Park where you can start the trail by walking to the Henderson Waves. 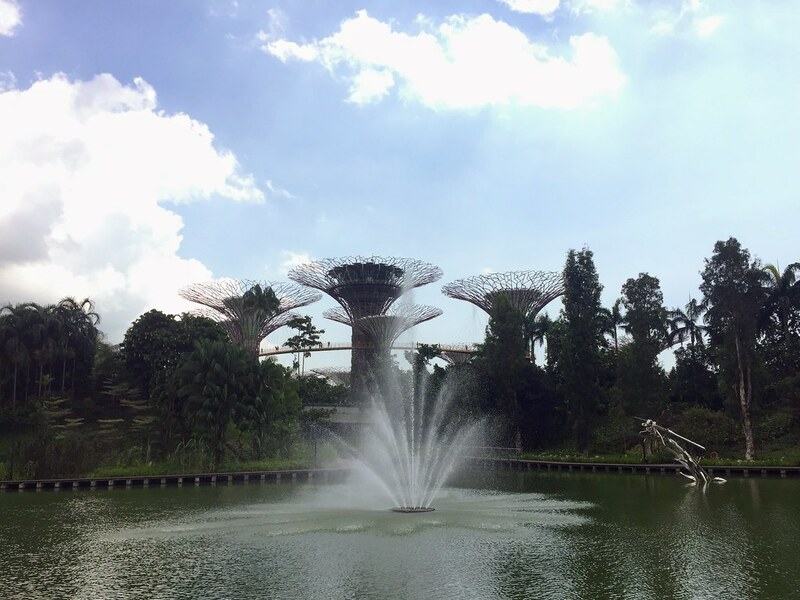 The Gardens by the Bay are located near the Marina Bay Sands Hotel and are a cool spot to spend your afternoon. 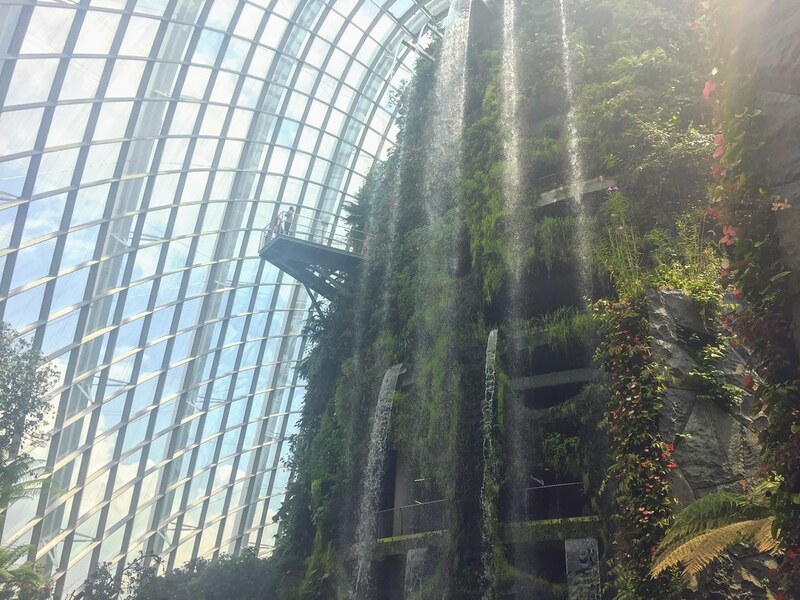 Have a look at the Cloud Forest dome, where you will find a large tropical mountain of tropical plants under a cascading waterfall. At night you can go see the light show at the Supertree Grove. 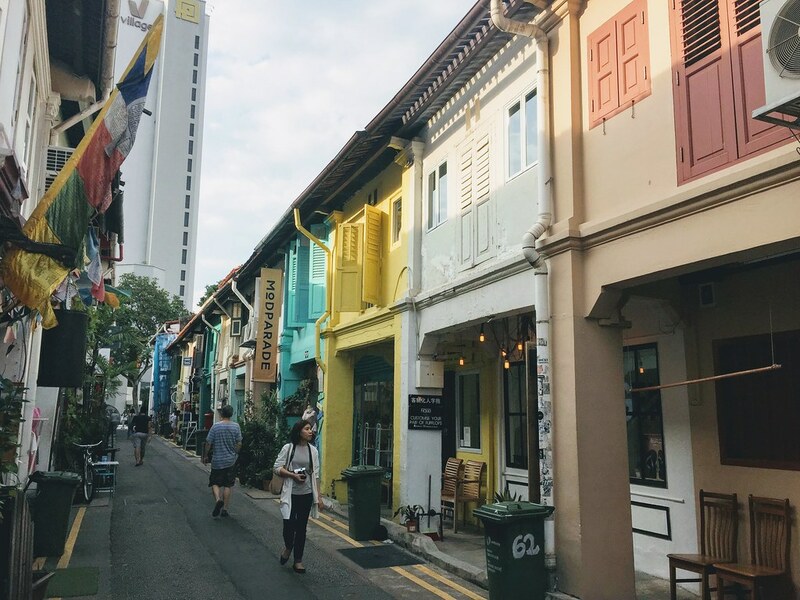 The Arab area of Singapore – also called ‘Kampong Glam’ – is a cool neighborhood with plenty of lovely colonial buildings, hipster street art and plenty of food and cafe & brunch hotspots (head to Toledo’s Espresso Nook for brunch and coffee, they have amazing food!). 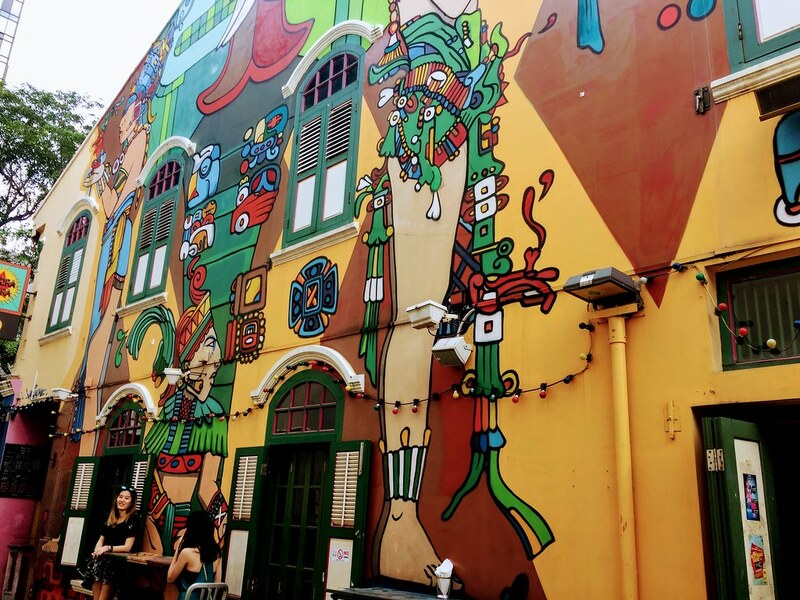 Haji Lane is the famous street with loads of boutique stores and cool cafes, surrounded by awesome street art. It’s definitely not to be missed. 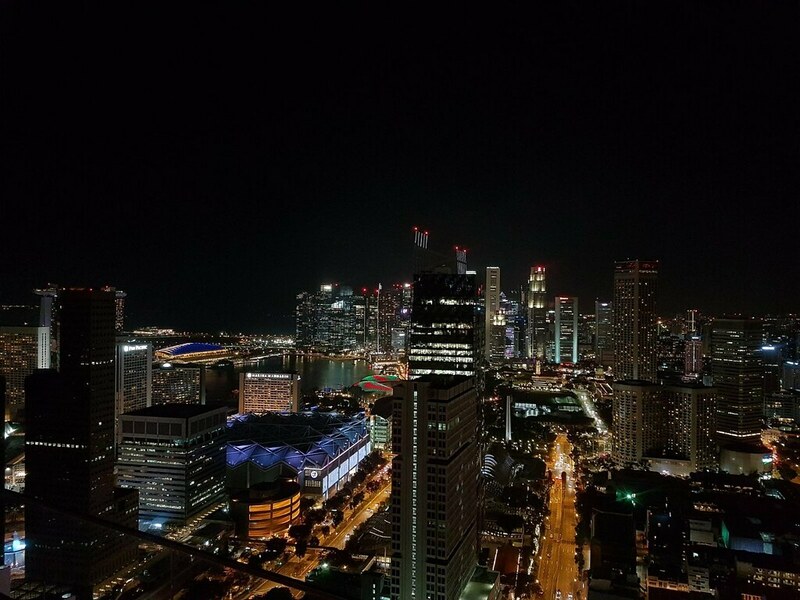 A visit to Singapore isn’t complete without going to one of the many posh rooftop bars and marvel at the glorious city views and mingle with the in-crowd. I really loved the rooftop bar at the Andaz hotel, which was called Mr. Stork. The cocktails weren’t too expensive either, around 16$S. Level 33 and 1-Altitude are known to be good spots as well. 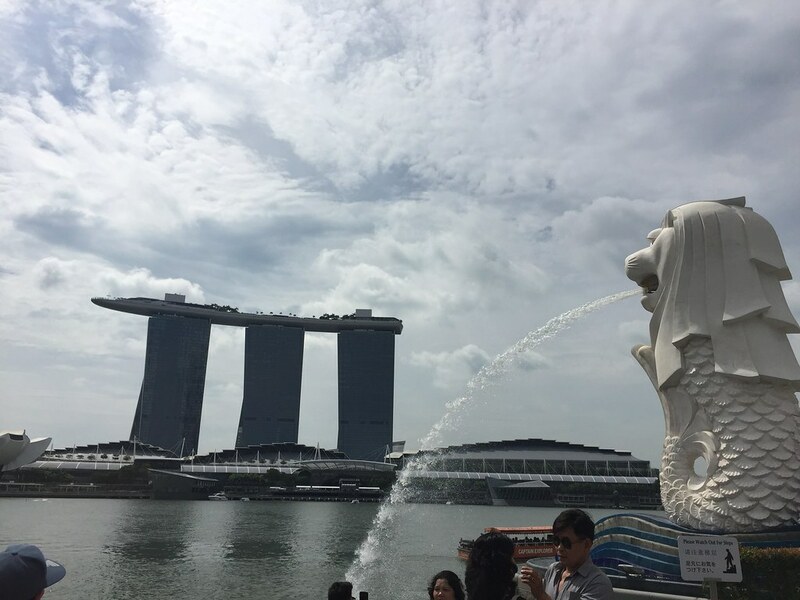 Take a selfie with the famous Merlion and stroll around the bay area. You have a lovely view on the Marina Bay Sands and have a quick (or slow) coffee at one of the cafes along the promenade. 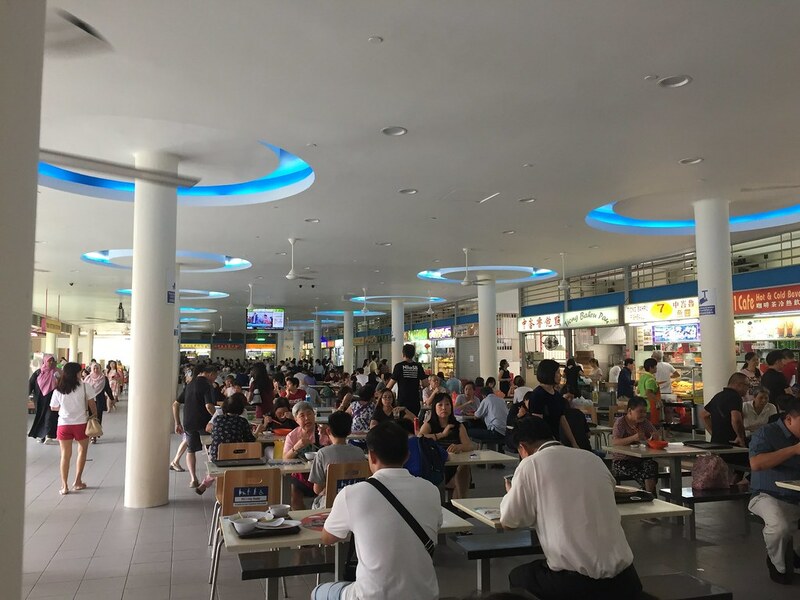 If it gets too hot you can always dive into one of the countless malls and cool down a bit, before embracing the tropical heat of Singapore again. 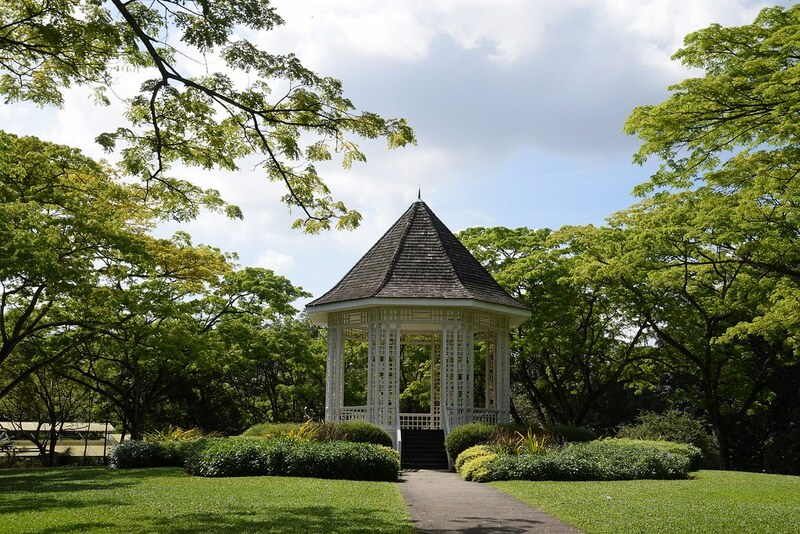 The Botanic Gardens are a great place to discover the tropical nature of Singapore. 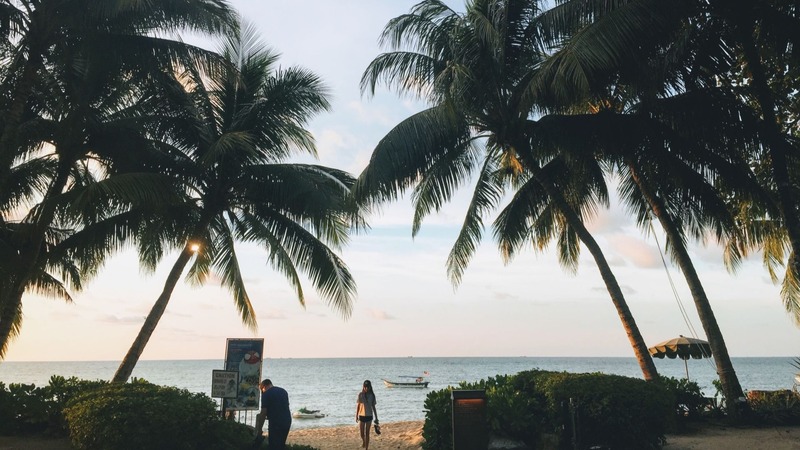 It’s a stunning garden with many tropical trees, plants and a lake. It’s a great place to go to unwind, escape the city and be surrounded by nature. Although the area is slightly touristic, it’s nevertheless fun to walk around and have a look at all the antique Chinese shops as well as taking a look at the temples. Then, get yourself some dim sum at Tak Po or a Nasi Lemak at the famous Mount Faber Nasi Lemak. 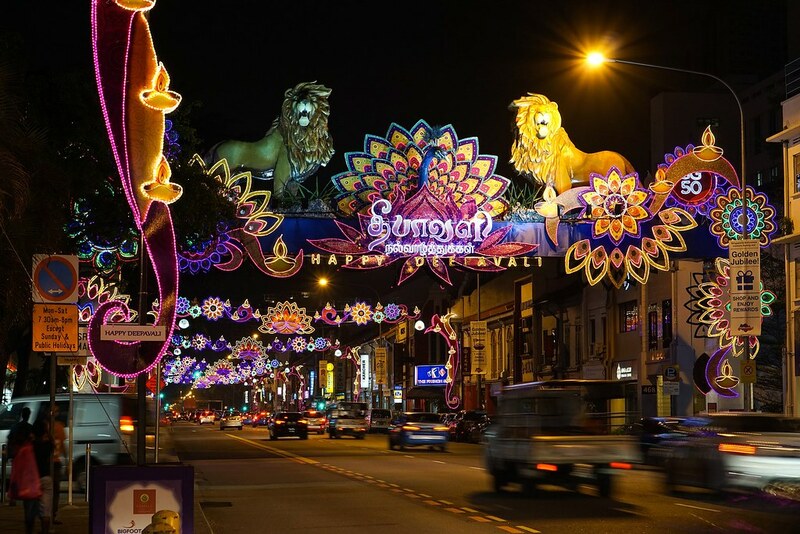 Eat awesome Indian food at the Tekka center and then stroll around this vibrant neighborhood to discover the Indian scene in Singapore. 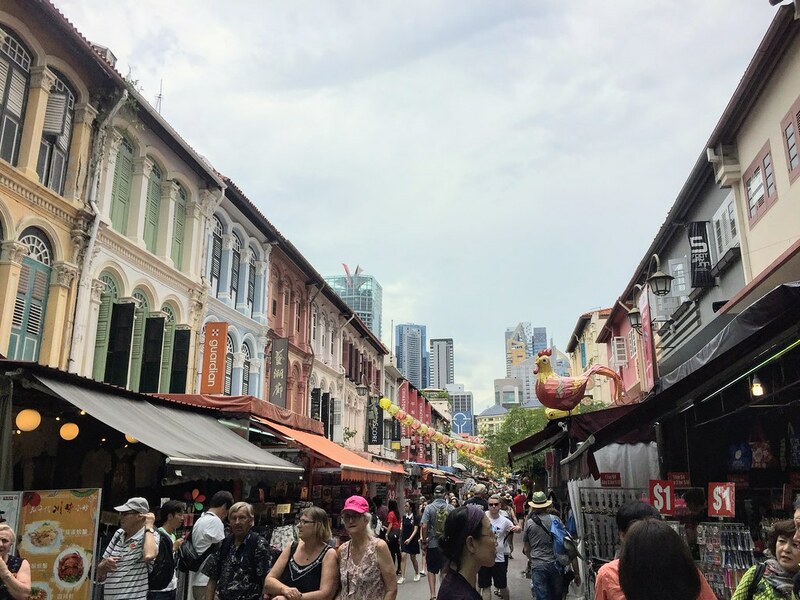 Singapore is a shoppers’ paradise, although oftentimes it can be slightly expensive, you can still find some good cheaper shopping options. Of course, the massive Orchard Road is the most popular shopping destination with all the malls lined up, and you will find most mainstream brands here. 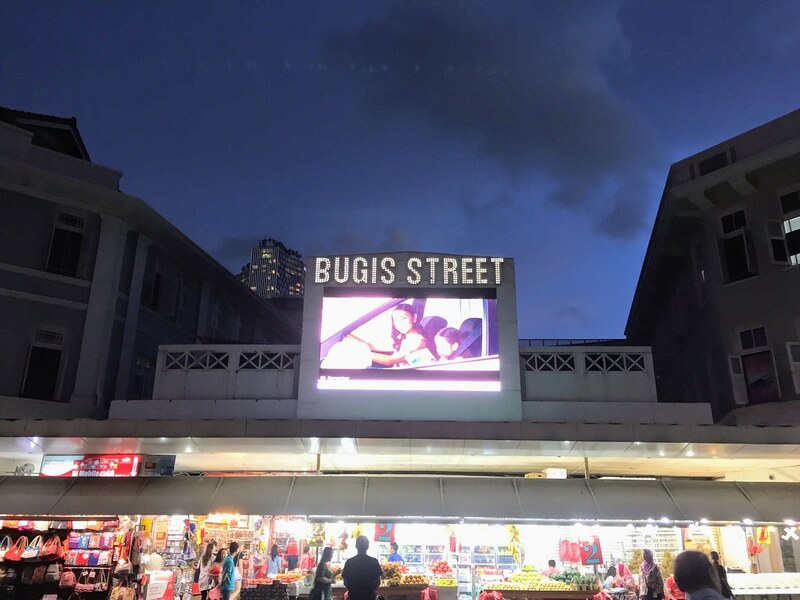 Personally, I really liked the Bugis area and shopping malls, which are more mid-range, and at Bugis Street, you can find a nice market, where you can shop for souvenirs and clothing. Are you in Singapore for just a couple of days? 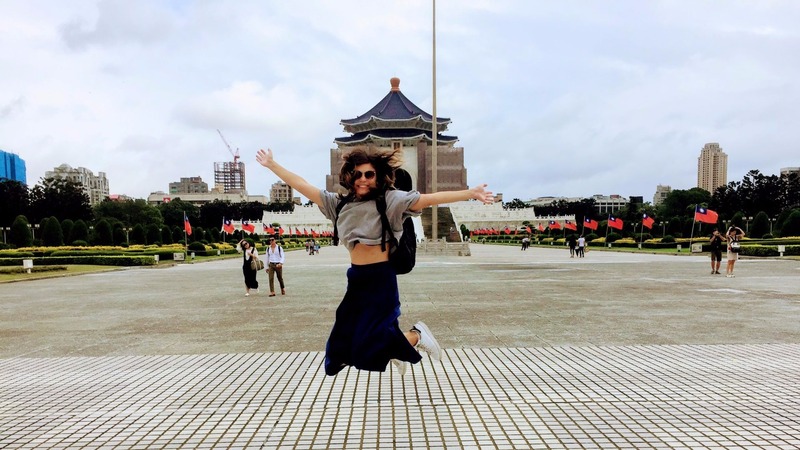 Check out my blog post about Two Days in Singapore: What to do & eat.